Have you ever visited Lakewood, Colorado, during the wintertime? Whether you’re fortunate enough to live in Lakewood, or planning a vacation in the area this winter, you may feel as though you’re in a snow globe. Winter in Lakewood offers residents and visitors a variety of ways to spend their time, but what makes the perfect day? While the perfect winter day in Lakewood may vary from person to person, we’ve found an itinerary to make you feel right at home in this winter wonderland. Take a break from packing up the holiday decorations to spend a perfect winter day exploring all that Lakewood has to offer. Start your day off in Lakewood right — enjoy a delicious brunch at one of the area’s best breakfast locations. With locations on Wadsworth Blvd and 6th Avenue, enjoy a tasty brunch at Sunrise Sunset. The restaurant strives to provide Lakewood with good food, good service, and a clean restaurant. Try one of their “eggceptional” benedicts or scrambles when you meet friends and family for a delicious brunch. When it comes to the perfect winter day in Lakewood, ice skating tops our list of fun activities that can be done with a partner or the entire family. Venture down to Foothills Ice Arena or The Rink at Belmar, lace up a pair of ice skates and take to the rink. Ice skating offers a nostalgic experience for adults and memories the kids won’t soon forget. While you’re in the neighborhood, Lucky Strike Lanes Belmar offers something for everyone in your party. Warm up after an afternoon of ice skating with 16 lanes for bowling, dining, shuffleboard, billiards, and a sports bar atmosphere for those eager to cheer on the Colorado Avalanche. Adding bowling to your itinerary will make everyone in your party feel like they’ve bowled the perfect game – even if their score doesn’t add up to 300. The 40 West Arts District along the West Colfax Corridor in Lakewood features more than 20 public art installations as well as dozens of galleries and performing arts venues. Located in the heart of Lakewood, you can enjoy the beauty created by artists, business owners, students, and neighbors. The 40 West Gallery acts as the creative hub of the district, hosting a variety of annual art exhibitions and events. Explore the popular arts district, which also includes The Edge Theater. Complete your perfect winter day in Lakewood after exploring the 40 West Arts District with dinner at The Ranch at West 40. The popular restaurant serves American food, grilled to perfection. Whether enjoying an early dinner during their Happy Hour or taking it easy and diving into a delicious steak, you’ll be satisfied ending your day at The Ranch at West 40. Watch the snow fall from the window as you enjoy tasty cocktails, engaging entrees, and delightful desserts. How would you spend your perfect winter day in Lakewood? Does our itinerary match up to yours? 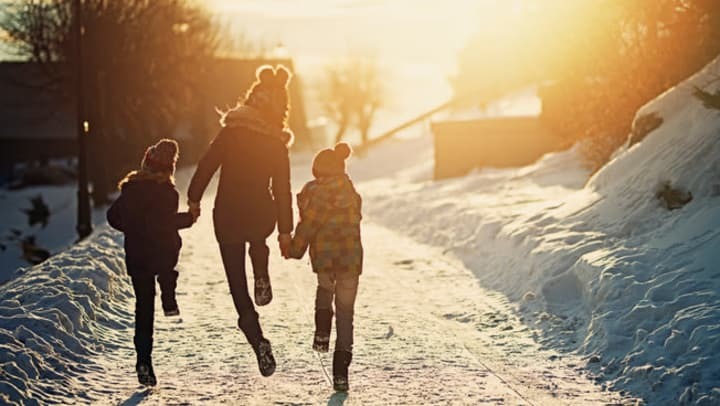 Whether you’re looking to relax inside with family and friends or get outside and enjoy that Rocky Mountain air, there’s no shortage of ways to spend the perfect winter day in Lakewood, Colorado. At StorQuest Self Storage, we’re champions of a more awesome life, which means helping you find not only the best self storage units in Lakewood for your needs, but also great ways to enjoy your free time in the area.